Pakistan-based Lashkar-e-Taiba (Soldiers of the Pure) is one of the most feared groups fighting against Indian control in Kashmir and is blamed for several deadly attacks on Indian soil. Most recently, India has blamed the militant outfit for the November 2008 attacks in Mumbai which killed 174 people, including nine gunmen, and soured ties between India and Pakistan. Pakistan's former president, Pervez Musharraf, banned Lashkar-e-Taiba in January 2002, along with four other Islamic groups. This followed considerable international pressure in the wake of the 11 September 2001 attacks in the US. Until then Lashkar, with its reputation for being purely focused on fighting India in Kashmir, was able to operate openly inside Pakistan, raising funds and recruiting members. Almost every shop in the main bazaar of every Pakistani town, large or small, had a Lashkar collection box to raise funds for the struggle in Kashmir. Laskhar had no involvement in sectarian attacks in Pakistan and its leaders were often critical of other militant groups operating in Kashmir and Afghanistan who also took part in the sectarian Sunni-Shia bloodshed within Pakistan. Problems arose, however, when some breakaway Lashkar members began to disagree with President Musharraf's strategy - post 9/11 - and were blamed for anti-government attacks in Pakistan. In the months after 9/11, these breakaway factions of militant groups started to come together under a loose anti-US banner. This meant that Lashkar members came into contact with sectarian groups which previously it had so disdained. After the ban, the government did not try to break up Lashkar but restricted the movements of its leaders, while its members were told to keep a low profile. By mid-2002 it reportedly renamed itself Jama'at ud Dawa (Party of the Calling). It said it would continue its activities in Pakistani-administered Kashmir, but India believes the group is now more factionalised. The massive earthquake in the region in October 2005 affected its fortunes and Jama'at ud Dawa, saying it was a charity, was again allowed openly to collect funds in Pakistan, officially for reconstruction work. Many of their offices reopened and its members played a prominent role in rebuilding work. Since Lashkar's rise to prominence more than 10 years ago, it has often been blamed by India for carrying out armed attacks, not only in Kashmir, but elsewhere in India. 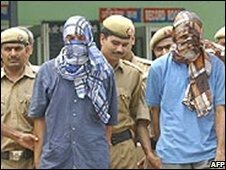 Lashkar was blamed for bomb attacks in the Indian capital Delhi in October 2005 that killed more than 60 people. India also says it was involved in the most audacious attack on Indian soil in December 2001. The armed raid on India's parliament - allegedly carried out along with another Kashmiri militant group, Jaish-e-Mohammed - brought India and Pakistan to the brink of all-out war. Lashkar has not admitted carrying out those attacks. 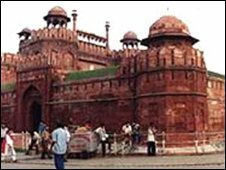 But it does claim responsibility for attacking one of the country's most famous landmarks - the army barracks at the Red Fort in Delhi in 2000 in which three people died. Until its ban in 2002, Lashkar had never been shy of accepting responsibility for most of the armed attacks against Indian military targets. However, it always denied killing civilians, maintaining that such a tactic was against the organisation's religious beliefs. In recent years, it has abstained from claiming responsibility for such attacks. It did not claim responsibility for the November 2008 attacks in Mumbai, but a subsequent investigation by Pakistan found that its members had been involved in planning and carrying out those attacks. The Pakistani revelation came amid mounting international pressure to rein in groups attacking India with covert Pakistani support. 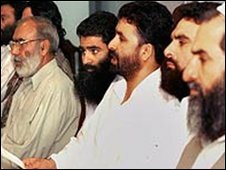 Lashkar-e-Taiba was formed soon after the birth of its parent religious organisation, Markaz Dawa ul Irshad in the late 1980s. 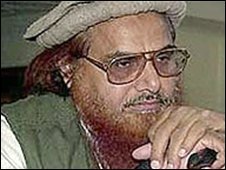 The Markaz (Centre for Preaching) was set up in the town of Muridke, outside Lahore by a former professor of engineering at the University of Punjab, Hafiz Mohammed Saeed. Spread over several hectares, the Markaz soon became known for preaching hardline views on Islam. Some of its annual congregations attracted as many as 100,000 people, during which calls were made for jihad or holy war. By 1994 Lashkar-e-Taiba had emerged as the militant wing of the organisation. Unlike most other Kashmir militant groups, a majority of its members were non-Kashmiri, and its headquarters were also based in Pakistan. Lashkar generally shunned the alliance of the Kashmiri militant groups known as Muttehadda Jihad Council or the United Jihad Council, preferring to act alone. Initially it was ignored by most other groups, but earned their respect once it introduced the concept of "Fedayaeen fighters" to carry out daring attacks against the Indian troops. The Mumbai attacks were a demonstration of this concept, leading many analysts to conclude that they bore Lashkar's signature.